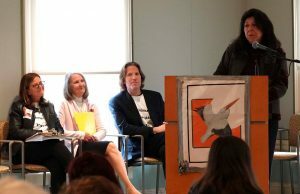 “This month as we celebrate Thanksgiving and the Pelican Intervention Fund’s Third Anniversary, we have much for which we are grateful,” said Elizabeth McCarthy, who founded the Pelican Intervention Fund (PIF) in 2015, along with Kim and Steven Keene. Help us support the journey from addiction to recovery by funding long term 12 step-based treatment for local men and women seekingsustained sobriety. 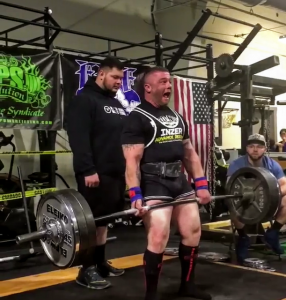 Mitch Cohen, Pelican Intervention Fund recipient, Competitive Power Lifter, NH, VT and Conn and Record Holder for Men’s RPS 242 lb Amateur Division will do all the heavy lifting. We need YOU to donate. Founded three years ago we have funded 35 applicants and the need for help continues to grow. Your donation will help others reclaim their lives. Thank you. For 2019, through the efforts of Representative James Kelcourse, PIF secured a $15,000 earmark in the FY19 Massachusetts state budget to combat the disease of addiction. These highlights affirm the need for the work we do as well as the generosity and care of the communities we serve. We have been blessed by your tremendous response to requests to support local men and women with financial need on their journey from addiction to recovery. 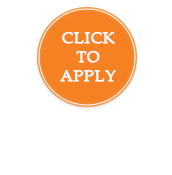 Your donations have funded 35 placements in long term 12 Step based residential treatment. You have provided the opportunity for these individuals seeking sobriety to reclaim their lives by deep healing over time through working the 12 step program. The best way to thank you is to hear how your generosity and care for those struggling with the disease of addiction can impact a life. The words of one grateful recipient funded in 2016 articulates this well. 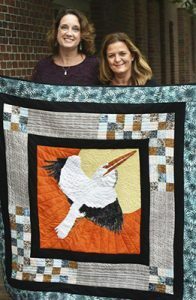 NEWBURYPORT — This fall, a Pelican Intervention Fund quilt will make its way through Greater Newburyport as a symbol of hope for people struggling with addiction. 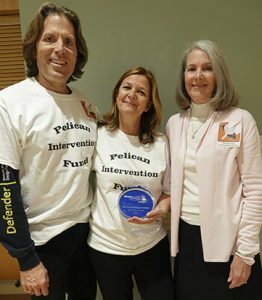 The Pelican Intervention Fund, established through the Essex County Community Foundation in 2015 by Kim Keene, her husband, Steve, and Elizabeth McCarthy, helps to fund 12-step, extended-stay addiction recovery programs for Greater Newburyport residents. The quilt, created by Old South Presbyterian Church parishioner Sue Emanuelson, features a large depiction of the Pelican Intervention Fund’s logo of a soaring pelican, surrounded by an eclectic border of soft colors and tranquil textures. The quilt will debut in Market Square at the Fall Harvest Festival on Sunday and Monday, and will spend the following weeks making stops at local libraries, senior centers and churches. At each location, the public can purchase raffle tickets to win the quilt, with proceeds going to the Pelican Intervention Fund. 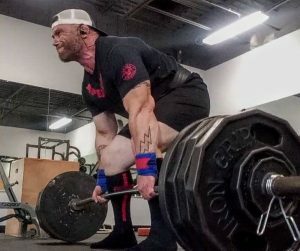 Opioid addiction is not just something you hear about on the news. According to the Massachusetts Department of Public Health, between the years 2000 and 2015 there were 1,435 opioid-related deaths here in Essex County. Back in the year 2000 there were 46 deaths, but in 2014 that number spiked to 213 and one year later, in 2015, the number rose even higher to 236 deaths. The opioid crisis is touching local lives and in 2015, Newburyport residents Kim Keene and her husband Steven and Elizabeth McCarthy decided to do something about it. 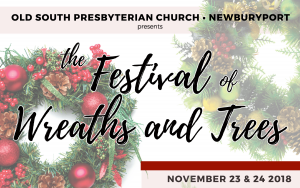 They established the Pelican Intervention Fund (PIF), which recently won the Greater Newburyport Chamber of Commerce & Industry “Nonprofit Business of the Year” award. SALISBURY – The Greater Newburyport Chamber of Commerce & Industry presented several business and individual awards Thursday during the organization’s 52nd annual meeting and awards ceremony at Blue Ocean Event Center.